“Color revolutions” flourished in Eastern Europe in the past few years. In Ukraine, for instance, the “Orange Revolution” managed to push Víctor Yuschenko (European Union and US favorite) to the presidency in 2005, while in Georgia, in 2003, through the «Rose Revolution» former Soviet Minister of Foreign Affairs Eduard Shevardnadze yielded his post vis-à-vis the momentum displayed by Mijail Shaakashvili, graduated in New York and Washington universities, and to whom the opposition now wants to give a taste of the very same medicine. It would be interesting, nevertheless, to review certain data about the country in order to better illustrate developments. 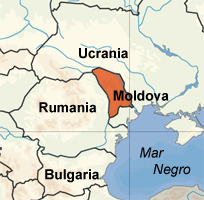 Moldova is a territory of barely 33,800 square kilometers, trapped between Romania and Ukraine. At least one third of its 4.5 million inhabitants has Romanian ancestors, and the cultural influence of that nation (Romanian is the most frequently used language, for instance), to which it was united until 1940, is highly visible. In economic terms, Moldova is considered Europe’s poorest country. The disintegration of the USSR pushed it into a deep crisis. It was only in the past few years that government actions positively operated on the population’s standards of living. Thus, if in 2001 67,8 per cent of the people were under the poverty level, this indicator was reduced to 29,1 per cent by 2006. From that year on, the conjunction of unfavorable climatic conditions (this country exports agricultural commodities, especially wine), the limitations imposed to the access to various markets and the increase in the cost of energy produced an economic decline, although President Vladimir Voronin’s administration displays a better readiness to attenuate the impact of this crisis on the more humble segments. Another interesting element in the Moldavian case bears the name Transdnitria, a territory west of the Dniester River, inhabited mainly by Russian and Ukrainian minorities that have been fearful, since the early 1990s, of a potential annexation of Moldova to Romania, decided to disassociate themselves from Chisinau (Moldovan capital, the seat of central power) and to go their own way. After the ensuing war, a critical peace was established, because Transdnitria has not restored its links with the small country, nor has it gained any recognition from the international community as an autonomous entity, nor has a solution been found to return to Moscow a voluminous arsenal that still remains there from Soviet times. It is obvious that, in spite of its tiny proportions, Moldova contains every necessary ingredient to become a powder keg, wedged between Ukraine (a country that longs to join NATO in spite of Russia’s opposition), Romania (a land that hosts NATO and US bases, nostalgic enough from the times when both countries were integrated, to the point of distributing Romanian passports to over 100 000 Moldovians), and, lastly, a portion of territory led by Moscow’s sympathisers, while the echo of two autonomous republics (Abjasia and Southern Ossetia, that declared their independence from Georgia and were recognized by Russia) still rings in the air. Nevertheless, there is an ongoing peace that seems to bother certain people. How can the “revolutionary” scenarios be repeated? Thus: the opposition, dissatisfied with the new victory of the Communist Party, manages to put 5 000 people —mostly youngsters— out on the street to destroy, to request an annexation to Romania and to denounce a fraud, even if the Organization for Cooperation and Security in Europe has certified the integrity of the ballot! And to conclude with a perfect scene of interference, comes the hand from beyond. According to President Voronin, there is evidence to prove that Romanian agents fueled the fire of demonstrations in Chisinau. That is why he expelled the Romanian ambassador, a move reciprocated by Bucharest. But of course, there is one last trump card that is still missing. As US journalist Daniel McAdam points out on the blog LewRockwell, it was a strange sight to see so many young demonstrators armed with iPods, a modern telecommunication equipment used to summon the mob. With the low salaries paid in Moldova, these would be a luxury for any native. But putting two and two together —and here comes the trump card— we arrive at the “generosity” displayed by the US Agency for Development (USAID), that, according to its own web page, implements in this country programs to “train” “communities» in technological matters, and also in “mobilizing, pushing for change and putting demands to government”. But days have gone by and calm has returned. 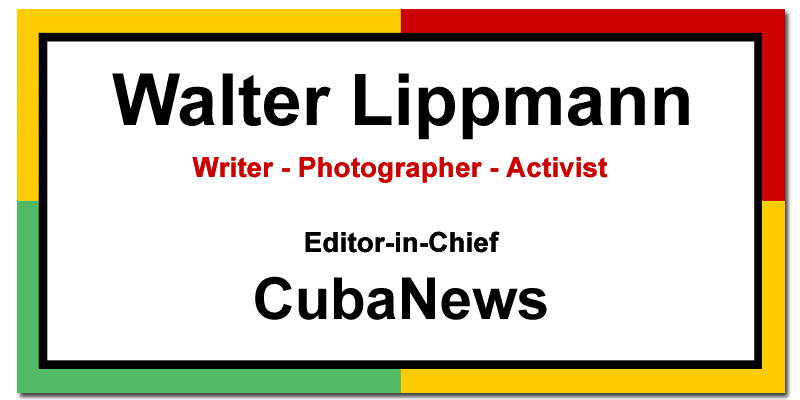 The colored “revolution” did not take place, and the only thing that the Constitutional Court has ordered is not a re-run of elections, as the liberal opposition wishes, but a vote recount.